I was, to say the least, honored! Below is the card I made. 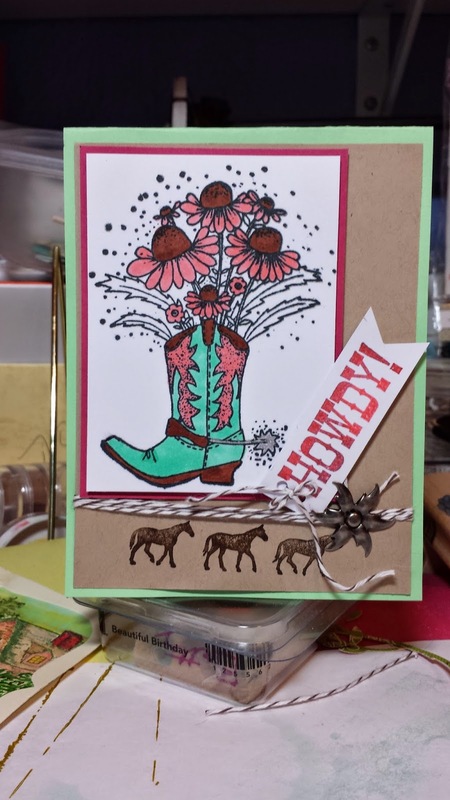 Hi Betty are you blogging again yeah I am so happy to see it ..hope you are feel more and more better Betty and congrats on being Guest DT yeah you deserve it because your card here is cool can be for a woman and can be for a man ...with flower and that horse..lovely coloring too..how is your healthyness Betty...wishing you are ok...big hugs from me in Munich and happy to see your post.